SoloMo, a social local mobile has failed to become an integral part of the digital marketing world which was otherwise predicted to create waves. This does not necessarily mean that local search would be pushed into oblivion. Undeniably, local search has become crucial part of digital marketing strategy as it is helping people to find the close by restaurants, hospitals and other service centers in their town in a jiffy. The local search is gaining huge prominence in the recent times over a few years ago. Basically, many people still love to visit the brick and mortar stores to buy products rather than ordering online, hence the number of people doing local search is on the rise. 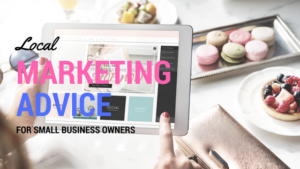 To improve the local store visibility on the search engine results when the customer look for the products similar to yours, then you need to follow the tips for local marketing guidelines for small business. Few are specific to certain industries while the other tips are generic that can be adopted by any industry to improve the local visibility. If you want to provide your service to the customers in your locality, then you need to read the below points without giving a miss. This is the important tip that has to be embraced by every local business website. The local campaign will become successful only when you use the generic landing pages. The people landing on this page would take an action, thus improving the conversions. You need to pick PPC campaign and create a landing page for every local campaign that you are posting through Google AdWords to improve your conversion rate. Undeniably, it is time taking for you to create an appealing landing page for every ad, but it pays you high in the long run. 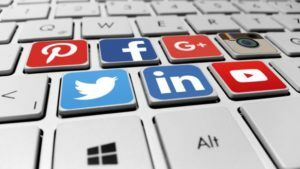 Social media sites have millions of avid users. So, when you use Facebook ads to promote your local business, it helps you to boost your brand reputation and gain new customers for your store, thus improving sales. Facebook ads are best to reach wider target audience base even locally, since it has higher user base. The ads are shown only to the target audience either on their feeds or on right-hand side of the page. It is crucial for you to take the demographics of the target audience into consideration including the age, gender, likes, dislikes, country, married/unmarried, education, income, etc. These parameters help you to refine and show the ads only to the target local audience. The advertisers will have complete control of the ads and show only the important information to the audience. Unarguably, Facebook targeting option is considered to be very powerful, so it is crucial for you to choose the right set of targeting option instead of focusing on every local audience. However, you need to be cautiously while choosing the audience targeting options, since this may end up giving negative result by choosing the wrong audience. You need to create unique and appealing landing page for every campaign you are bidding. 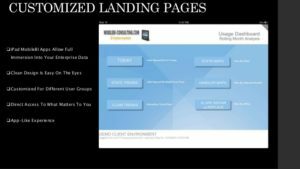 Undeniably, landing page is the conversion page where you can pull the audience into the sales funnel and at the same time you can lose a potential customer, if the landing page is not designed or is not showing the information that the visitor needs. The best way to avoid losing the conversions on the landing page and gain huge mobile traffic is to use call-only ads. This type of ad is available in Google Adwords and Facebook. When you choose this ad to promote your products/service, you will have a call-now button on the ad, which allows the users to call you directly as soon as they click on that particular button. This feature is a boon for the advertisers who would like to connect with the customers directly instead of asking them to fill the lead form and you making them cold calls. With this option, the customers can get in touch with you in a few seconds. Undeniably, content will educate the users about your offerings and products, but many local businesses do not give priority to content marketing strategy. However, not all small business owners can create a powerful content marketing strategy for their business, since they would be busy all the time in their stores. Unarguably, the small business owners who focus on content marketing would see rise in their sales down the line. When you create content related to the business, it improves your visibility in search engines and make your brand the most trustworthy in the community. There are different types of content formats available and the type of content you need to produce totally depends on your target audience. You need to think which product or service is beneficial by having content in place about them and check whether you can create content according to the occasions. Google Adwords that was launched in 2000 have created waves in the digital advertisement word. The advertisers can take advantage of ad formats to create the ad for their business to improve its visibility. The best way to maximize visibility is by using ad extensions. The two ad extensions that are very powerful for the local search include promotion extensions and display location extensions. Display location extension: In this type of ad format, the PPC ads will display the location of the store clearly, thus giving the directions to the users on how to reach the store easily. The users who view the display ads can click on the address details to get the directions to the advertiser store. This is the best way to drive huge foot traffic to the stores. This even helps the prospective customers to reach your store besides helping you give a tough competition to the other rivals in your locality. Though, there is a rival store closer to your store, it entices the customers to walk into your store. Promotion extensions: This is the newly added ad format to the already existing ads list into Google Adwords. This kind of ads let the stores to add attractive offers to the PPC ads. This type of ad will reap you positive results when you are focusing and promoting about popular product lines. Though, the promotion extensions of Adwords are effective, but no other ad extension can take the place of unique ad copy. It is crucial for you to create a relevant copy that promotes time-sensitive offers. However, to create the ad copy for time-sensitive offers would be time taking, since this does not have any automated tools like dynamic keyword insertion, but it eventually pays you high. By blending promotion extensions with the ad copy would highlight the time sensitive offers and drive the prospective clients towards your business. The effective tool that is available for the marketers who wants to focus on local market is using geotargeting option. The e-commerce businesses do not completely focus on the customers based on the location, since they provide the service to the people globally whereas the local businesses should primarily focus on their locality. You can gain maximum visibility of your ad in the locations you are targeting with the help of geo targeting option. Undeniably, this option is not useful for the businesses that are operating globally or outside the target location. This option is very useful for the local plumbers, electrician and other service providers who just render their services in their town. Apart from using geo-targeting option, the ad schedule will also help the advertisers to have more control of when to promote their ads to the users. Basically, showcasing the ads in the right time when your target customers are available online would help you get many leads. For instance, you own a food stall where you want to drive a sea of customers to the store, but if you display the ad all the day long, then you would waste a lot of money on clicks which are no longer useful. However, when you select particular timing to showcase the ads, then the customers who are starving would land in your food stall to fill their tummy. Showing the ad in the right time during the day would improve visibility besides keeping your ad budget under control. Using geotargeting option along with day parting will reap you positive results and let you to focus your ads on target regions at a specific time during the day. This is very beneficial for local advertisers. Another best way to improve your local search visibility on search engines is to use location based bid adjustments. This lets the advertisers to big a higher amount on specific keywords including location, city, state, and postal codes. The advertisers can bid on the keywords that drive more foot traffic to the stores besides increasing the conversion rates. For instance, if you are selling pizza in your town, then bidding on the generic keywords such as pizza corner or pizza restaurant would not reap you the desired results instead bid on specific keywords that are embedded with location or zip code such as pizza corner in Texas. Though, location based bid adjustment was in use since a long time in Adwords, but the importance of this feature has been realized by the advertisers in the recent times. 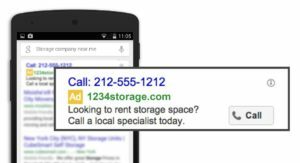 Before introducing enhanced campaigns, the advertisers are forced to create separate ads, if they want to bid on the keywords with location or zip code. It has become quite easy to use this kind of option in Adwords. The businesses are including the contact information on the website, but still the customers find it hard to reach their locations without proper directions. More importantly, it is important for you to make your website mobile friendly. You need to make sure that your local store is easy to find by the customers otherwise you make lose opportunity to attract customers to your business. There are many tools available in online to create a user-friendly website without coding knowledge. One such tool to be used is Squre space and other hosting services. You would lose a loyal customer for your business for not including a map widget and directions to your local stores. Though, you may have many loyal customers who promote about your local store, but it is crucial for you to stay online to gain more and more new customers for your business who are unaware about your business even though they are staying closer to your store. Social proof is one that you need to leverage to create awareness about your store to the target audience in your town. There are a few customer review sites, especially yelp where customers read reviews about the each store and make purchases from the store that has more positive reviews. If your customer is satisfied with your service, you can use it as a promotional tool to promote your business on social channels. Many small businesses that are operating locally are using this tool to promote their brand on Facebook and improve their credibility. If your customer loves your product or service, you can post the reviews on Facebook. This review will boost the confidence of other customer in your business. You can include both positive and negative reviews of the customers as part of social customer. 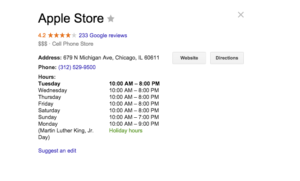 Google My business erstwhile known as Google places is allowing the local stores to list their business in the business listings that appear when a customer searches for the product/service similar to the ones you are offering. Undeniably, when you search for a business on Google, the information about the company is displayed on Knowledge graph. This information is the one that is submitted by the companies on Google business listings. 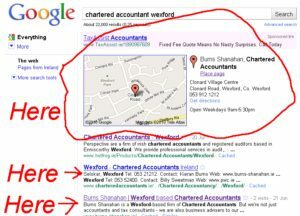 Also, you need to list the business in Google business listing if you want to use location extensions. It is important for the local advertisers to keep their Google My business listings up-to-date. This helps the customers to find about your business with ease and also it helps you create perfect Google Maps listings. This offers information for the customers who are looking for the businesses similar to the ones you are offering in your area. Make local ads as the major part of your advertising strategy. This is the last and the best tip that has to embrace by the local stores to improve foot traffic to their stores. Ideally, it is crucial for you to make local search ads as an integral part of your advertising strategy. Local search ads are developed with an intention to develop Google Maps as a powerful platform for the advertisers. 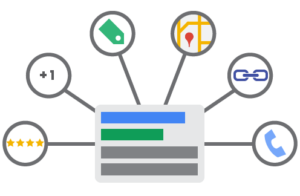 The local ads on which you created will be displayed on Google Maps and Expanded Map results. Also, these ads are incorporated with Call and direction buttons. When the customer clicks on call button, they will call directly to the store and when they click on directions, it gives the direction to your store in the Google Maps. After creating the local search ads, you need to test the ads prior to start displaying them on Google Maps and ensure the ads you created fits in your business. Make sure that your business is easy to find no matter whether you post it appears on organic search results, PPC ads, social ads, website and from Google Map search. Undeniably, following these steps will improve visibility of your ad and help you earn high Return on Investment (ROI).